I decided to build a new PC after I upgraded to a triple monitor setup. My old machine was running an i5-2500k and dual GTX 770s. It had enough power to play games at 5760x1080, but most games were definitely not at the highest settings. I'm debating on ditching the 3 monitor setup and getting a 4k monitor in the future too, so it'll be nice to be able to run that as well. I was getting tired of my black and red color scheme also, and wanted to build something in black and white. On my previous build, I used a Corsair Obsidian 800D. This time around I went for something smaller. I was mulling over several different cases, but I was sold on the NZXT H440 as soon as I saw it. I'll admit that aesthetics played a big role in this build, and the hidden power supply, optical drive-less front, and overall design appealed to me. It's not just for looks though, and it's a great case to work in for the most part (cable management is a little tight). I did do a couple of modifications too. First, I mounted a push button switch to the top panel to control the LED strips I had mounted inside. Second, I cut out the metal between the top two cable management holes that run alongside the motherboard. My 24 pin connector didn't really line up with either hole, so I merged them into one. NZXT was cool enough to send me an entire grommet kit (free of charge too) so I could hack together one long grommet for the new hole. As far as the LED strips go, I wanted to try something different than most people. I mounted 3 strips under the motherboard to give it an underglow effect. It sounds cool on paper, but didn't work out too well in practice. Once all the parts are installed, you can't really see the light coming through. I mounted an LED strip just in front of the side panel window too though, and it casts a decent amount of light into the case while remaining hidden from view. I also added bullet connectors to the switch wires so I'll be able to completely remove the top panel without having to cut anything. Overall I'm pleased with the way the LEDs turned out, even though the underglow effect is basically lost. The masking tape you see in the picture was temporary if you're wondering. Component-wise, the 4790k was an easy choice. It gets good reviews and seems to have great performance for the price. 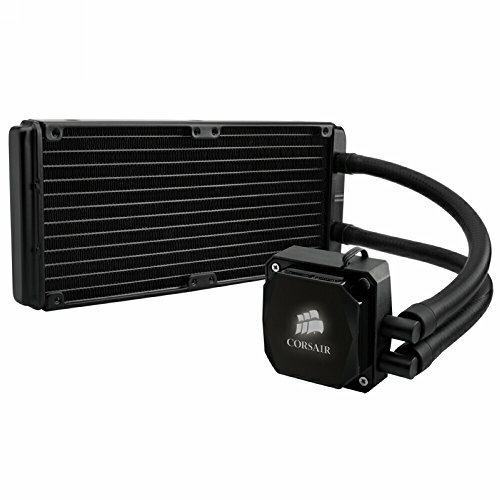 For the CPU cooler I went with a Corsair H100i. I'll eventually overclock the i7, and this should be good at keeping the temps down. I picked up an MSI Z97s Krait Edition for the motherboard. It's not loaded with a ton of features like a more expensive board, but it's got the features I need and will actually use. I chose 16gb of Kingston HyperX Fury RAM in (you guessed it) white. I gave myself several options for storage. I'm reusing a 120gb Samsung 840 Evo for the OS, two 480gb Intel 530 series SSDs in RAID0 for the games I play the most, and 2 WD Black 1TB drives for general storage and games that I don't often play. The GPUs were another easy choice, with dual MSI GTX 980s. The only real downside to these cards is the cost, but they should handle anything thrown at them for the next several years. I replaced all the case fans with ones from Corsair. Luckily it's not hard to find quality components in black and white, since that's the theme I'm going for. If the parts I got were any other color, I either painted them, or sleeved them. I ended up buying all the tools and equipment to sleeve my PSU cables myself. It would've been easier to just buy sleeved cables from Corsair, but now I have the tools and know how to do it again in the future. The GPUs were originally black and red, so I took apart the shroud as far as I could and painted the red parts white. Unfortunately, when the MSI logo lights up on the card, it casts a faint red hue from the original plastic color. It doesn't look as noticeable in person as it does in the pictures however. I had to paint the EVGA SLI bridge as well. The metal bits are held on with double sided adhesive, so I carefully pulled them off, removed the residue, and painted the metal white. I put tape that looks like carbon fiber over the EVGA logo to match everything else (that and an EVGA logo sandwiched between two MSI logos would look kinda funny IMO). The build itself was pretty uneventful. The one thing that does stick out in my mind was getting the back panel on. The side panels have sound dampening material on them, and since it's already a slightly small case, getting the back panel on with all the wiring in was a challenge to say the least. I ended up ripping off most of the foam so I wouldn't crush anything. To be honest, my cable management in the back looks like a nightmare, but I was running out of room to put the wires. I'm sure with more careful cable routing it wouldn't be as much of a problem though. Overall I'm very happy with how the build turned out. I got the look I was going for without having to make any compromises, and I have a system that should be good for the next several years. Or until I decide I need a new PC, whichever comes first. Criticism is welcome, constructive or otherwise. Once I get done overclocking the GPUs and CPU I'll update this post with temps and speeds. Lastly, I don't think I've typed anything this long since high school, so forgive me if it's all over the place and hard to read. TL;DR I built a black and white computer. It's pretty fast. Lots of cables. I was like "Another 4790k/980 build sigh"
And then I looked at the photos and I was like "Cable management"
Thanks! Yeah I wish the backlighting would have turned out better, but it was worth a shot I think. I've heard that from several people. I'll definitely look into it, 144hz sounds pretty nice. Welcome to the Black & White Brotherhood! Haha thanks. I checked out your build and it's a good looking machine. I am thinking of using the Kingston Fury RAM for a new build. Your thoughts? Thanks! I like the Kingston RAM, it hasn't given me any issues so far. I can never really tell the difference in RAM speeds so I chose it based on aesthetics. It's built really well and the heat spreaders feel solid. The finish is nice too, it's slightly textured and doesn't seem like it would come off easily. OMFG this build just topped all the other builds that thought they looked good. Haha thanks! I'm really happy with it. Thanks! Yours ought to look pretty good when it's done! Very nice black and white build! I'm gearing up for a 1st build. I've been running and iMac for several years now and am getting sick of Apple's lack of support. Anyway, I really like the parts you used but am thinking about going with a Phantom because of the comments on the H440's back panel. How's the mobo doing? That's a great price for a Z97 I think. Is there anything that you feel you're missing out on because you went with the Krait? Thanks! The back panel was the only negative experience I had with the h440. The phantom is awesome too, you really can't go wrong. The mobo has held up pretty good! Nothing negative to say about it. I probably wouldn't have used the features on a more expensive board anyways so I can't say I'm missing out. Good luck with your build! Thanks! That's pretty much what I was going for lol. Thanks! Yeah our systems will basically be twins lol. Good choice in parts sir. I'll male sure I tell you when your pc's "twin" is made. Thanks a lot man! I appreciate it. Absolutely sic build. Loving the tuxedo theme. When I saw the Krait version of that motherboard, I was like "I wish I hadn't just built mine...". Yeah, it's definitely a good looking board IMO. You have some pretty good builds yourself. Thanks! Awesome mods! This turned out great. Thanks man! I'm definitely pretty happy with how it turned out. They're the stock cables that came with the RM1000. I used a molex removal tool to pull the wires from the connectors and I sleeved them with paracord. Nah, it's not an original idea. It's a fairly common method of DIY cable sleeving. Just look up "paracord cable sleeving" on YouTube and you'll find a ton of tutorials. Lol thanks. I checked out your builds, I like that gaming PC you made. Thanks, that's a hell of a compliment! Wow those 980s look really nice with the shrouds painted. Thank you! They're probably my favorite part of the build. You just made those 980's look so freaking sweet. It looks great. Thanks! I'm real happy with them. This is what I call dedication! Beautiful build. Thanks, it definitely took some time and planning. Thanks, I'm pretty fond of your hooked III build! Those 980 s are freaking beautiful man, congrats on the build! Also would u reccomend the msi version of the 980? Thanks! I haven't had enough time to put it through it's paces, but first impressions are good. The fans don't spin up until 50° so they're silent until you start to push them. I find them aesthetically pleasing as well, but of course that's subjective. can you tell what LED did you buy and how you create a button? I got the switch from a website called superbrightleds.com and the strips are basic white led strips from Amazon. They have bare wires on the end, no connectors or anything. Looks amazing! And great components. I also have the H440 and had a ***** of a time getting that back panel on. Had to call in the wife to hold the tower while I muscled the panel in place. Thank you! I had to bear hug it and force the panel on. I decided that something needed to change if I was ever going to take that panel off again, so I trimmed the hell out of it. I'm in love with this build! Especially those GPUs! I was wondering if you could tell me how you did it, What method did you use? Thanks! On the GPUs I had to take out several screws to dislodge the fan shroud. Unfortunately, the way the MSI logo light is wired you can't completely remove the shroud from the card. So I wrapped the card in paper and tape to keep paint off of it. Then I just spray painted the red pieces white. The black shroud pieces are able to be completely removed so i didn't have to worry about getting paint on them. Did you use Acrylic Spray Paint? I just used regular white krylon. Not sure if it's acrylic or enamel. Wonderful! Nice thing about all white is that you hit it with any colour lighting and it'll pop. Thanks, yeah that's definitely a plus if I ever decide to put different colored lights in it. I have 5760x1080 running on one 980. I'm tempted to get another but I'm not sure about the performance boost being worth it. What do you think? I haven't had a whole lot of time to play a lot of games on it just yet, had to go back to work after the holiday break. I played a bit of BF4 though, and I'm running it maxed out on everything, 5760x1080, averaging about 110 fps. I can't say what it gets with just one card however. Hope it helps! how did you paint the 980? Because dayum that looks really good. Thanks! If you go up a few posts from here I explained (in a nutshell) how I did it. I did forget to mention one part though about the white bits on the end of the card towards the power plugs (they look like angled stripes in the pictures). They are red plastic pieces originally, and you basically have to break them off of the shroud, and I had to use super glue to put them back in place. Nothing too difficult though, just make sure you remove the paint in the areas you use glue. For some reason I didn't bother to take any pictures during the painting process, otherwise I might be able to give you a bit more help. I currently have one MSI GTX 980 Twin Frozr in my H440 build. Have you noticed any heat issues having two in SLI? I'm going to pick a 2nd one up down the road when they drop in price. Sorry for the late reply... So far I haven't noticed any heat issues. Running BF4 at the highest settings across three monitors averages about 100fps and the cards run around 65-70°. That number will likely go up in the summer though. Hope that helps! Wow! really awesome build, i have never seen lighting like that. Where can you buy those metal SLI bridges? Do they make them for X-fire aswell? Thanks! EVGA makes the bridge that I have, but I'm not sure if they have a x-fire version. How does that motherboard overclock? Are temps alright? 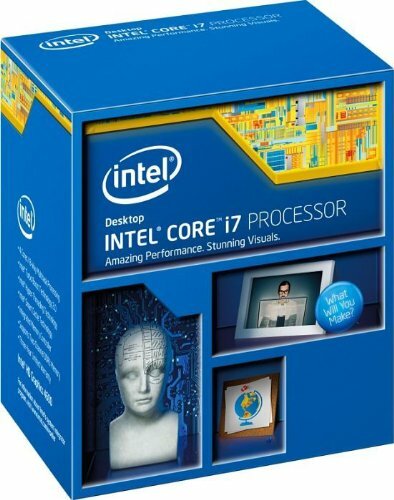 Looking for a reliable motherboard to run an OC'ed i7! I still haven't gotten around to doing any overclocking unfortunately. Been working pretty non stop and haven't had much time to mess with it. I'd like to take my time when I do try (I'm a noob at overclocking). Very clean and awesome build! I have to say you've inspired me to make my first build a black and white one. Looks SO nice. Sorry for the late reply, haven't been on here in a while. The mobo is working good so far. I actually had to replace it because the sata controller was bad on the first one and kept crashing my system. But it's been great since then. The bridge fits well, if anything the cards are a bit heavy so the backs sag a bit. Good luck with your build! This is incredible! I was looking at this mobo and ram...you have now inspired me to build a black and white! Wow, looks so good. And the cable management..holy damn, how? You're thinking of extensions I believe. I didn't use those though, I actually disassembled every cable and sleeved it myself. Thanks! And no worries, you're not bothering me. The card wasn't super difficult to paint. I had to pop out some screws holding the shroud on and wiggle it out. It is connected by a wire to power the MSI logo LED so I had to wrap the rest of the card in paper to prevent paint from getting on the heatsink and PCB. I had to break out the slatted parts towards the back of the card and reattach them with glue after painting, but it wasn't too difficult. Good luck with your build! I used an EVGA sli bridge to start with and customized it from there. I tried to find you a link but it looks like they might not make that specific bridge anymore. Might check eBay though! Was it the long or short version? It was the one that allowed for spaced graphics cards, so I think it was the longer of the two. I'm not positive though. Hello. The build is awesome. May I please know where did you get the white cables and the cable combs for a more neat look? I sleeved the cables myself using the stock cables and white paracord. The combs came from Lutroo customs. Hi! Did you also paint the mounting kit for the Corsair H100i? Also are you facing any problems with the ventilation of the H440? I painted the metal bracket that holds the water block to the backplate. As far as ventilation, it seems to be pretty good! It's slightly warmer than average considering all the stuff I have in there, idles at about 29°-32°C. But it's also pretty hot outside where I live and the temps are better in the winter for sure. I have the same case/mobo/cooler and I totally didn't know what was missing until I saw your painted bracket. What did you use to paint it? Did you use white krylon like you did with other parts? Are you happy with the result? Yep, just used white krylon. I'm definitely happy with the results, easy to do and looks good. Awesome to hear. How many coats did you throw on? Two coats did the trick for me, I used semi-gloss white. Very well done black and white build. Not to much of any of the two colors, well balanced. Thumbs Up. Is that just the standard 60mm spacing SLI bridge? Please don't use link shorteners on our site. Edited, I hope that's ok? I believe it's standard spacing. And I've been thinking of repainting the shrouds. I didn't take the heatsinks off the card when I first painted them, I just loosened the shrouds and wrapped the cards in newspaper. I thought I I'd be able to keep the warranty intact this way, but I contacted msi a few weeks ago and they said since I altered them, the warranties are void. So I'm going to completely disassemble them in the near future to get a better paint job. Are to gpus hand painted or spray painted? I want to use a msi 390 in my build but I want to make it all black. (Sorry I'm commenting months later but you're one of the only people to have painted your mis gpu. They're spray painted. I ended up taking the heatsink/shroud off the card completely to make painting easier. This will void the warranty, but it makes for a much nicer paint job. i plan to build with most of the same specs and of course black and white theme. 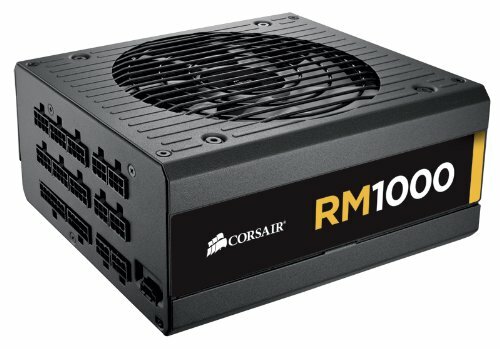 how's the GPU temps with this case? does the fans pull air enough for the twins? Sorry for the late reply, haven't been on in a while. The gpu temps for the 980s were pretty decent, but I don't have the numbers off the top of my head. I ended up getting a couple 980ti's to replace them with, and those definitely run a lot hotter than the old cards did. Sorry for the late reply, haven't been on here in a while. The main reason for two SSDs was so I could run them in raid 0. 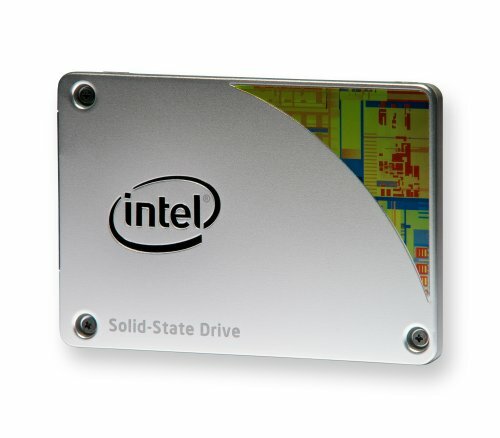 One SSD is fast, but put them in raid 0 and they're insane. 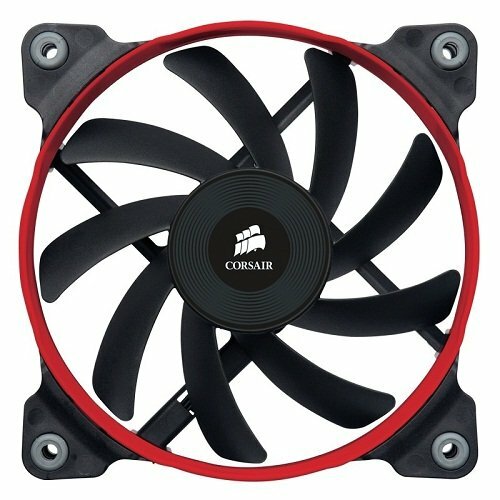 Hey, does it make a big difference with the Corsair sp120 fans in the front? This is literally the exact build i want case and all!!! 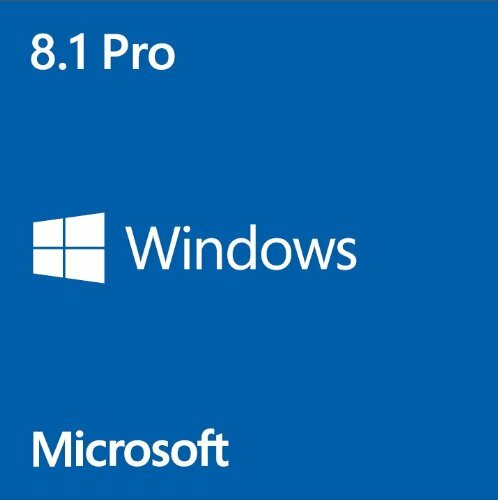 How does the mobo and cpu work together? Just checked out your build, and now I have the urge to build a micro PC lol. Thanks! The H440 is definitely an awesome case. I sleeved them myself using paracord. With the money i spent on paracord and sleeving tools I probably could've just bought a set of pre sleeved cables, but now I can make my own in the future for dirt cheap. Thanks! It took a while to get the hang of it but I liked the way they turned out.